The Hotel Jerome is located on East Main Street in Aspen, Colorado. It is a brick structure built in the 1880s that is often described as one of the city's major landmarks, its "crown jewel". In 1986 it was listed on the National Register of Historic Places. It is currently operated by RockResorts; its owner is nominally Jerome Property LLC pending the outcome of litigation with the city of Aspen over whether its decision to foreclose on its wholly owned subsidiary, which had owned the hotel, was in fact a tax dodge. The hotel was built by Jerome B. Wheeler, at the time co-owner of Macy's and a major investor in Aspen during its early boom years. Mr. Wheeler wanted the city to have a hotel that equaled European ones in its refinements and amenities. It was one of the first buildings west of the Mississippi to have full electric lighting and it has the only aboveground ballroom in Aspen. 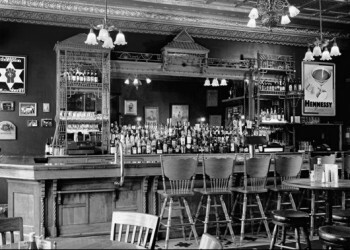 It was the only hotel to remain open through the city's "quiet years" in the early 20th century, as a family business run by a former bartender and his son that often served as the town's social center. At one point it was also used as a temporary morgue; there are claims the building is haunted. Like many other historic hotels, the Jerome is said to be haunted by ghosts of guests or other persons associated with it in the past. The most common story involves Room 310, which overlooks the pool. Supposedly, in 1936, a family staying in that room had a ten-year-old son, who drowned in the pool. Since then, guests and employees have sometimes encountered his ghost, known as "water boy", either in that room or nearby hallways. He appears wet, wrapped in a towel and shivering, and does not speak. He will supposedly disappear, leaving behind a trail of wet footprints. Other supposed hauntings take place on the third floor, to the extent that many employees reportedly prefer not to work up there. Among the other ghosts said to haunt the Jerome include Henry O'Callister and Katie Kerrigan. O'Callister was supposedly a broke silver prospector who dug up a 1,500-pound silver nugget. With his new fortune, he moved into the Jerome and fell in love with a Boston heiress, Clarissa Wellington. The two wanted to marry, but her father would not give permission. She returned to the East; he stayed in Aspen heartbroken for the rest of his life and died as broke as he had been when he found the nugget. His ghost supposedly wanders the halls, sobbing, some nights. Kerrigan supposedly began working at the hotel at the age of 16 in 1892. She was an attractive young woman, and many of the wealthy guests at the hotel took notice, making her coworkers jealous. They played mean-spirited pranks on her. On one night another maid told Kerrigan her pet kitten had fallen through the ice on a nearby pond. Kerrigan went out to save the animal, falling through herself in the process. She was rescued but died of pneumonia a week later. Current maids say that sometimes, when they enter a room to turn down the bedsheets, they find the job already done. Travel writer Chris Gray Faust reported a similar mysterious occurrence in her room, which also overlooks the pool, during a 2010 stay. 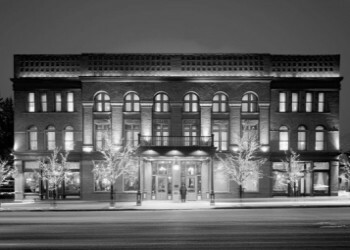 After she returned from an "Aspen Dark Side" evening walking tour, which focused in part on the Jerome's ghost stories, a friend she was traveling with who had not been on the tour and left prior to her asked why she had turned the heat on. She had not, and the two found as well that the sink was full of soapy water although the soaps themselves had not been used. They were so scared they left the television and bathroom light on all night.